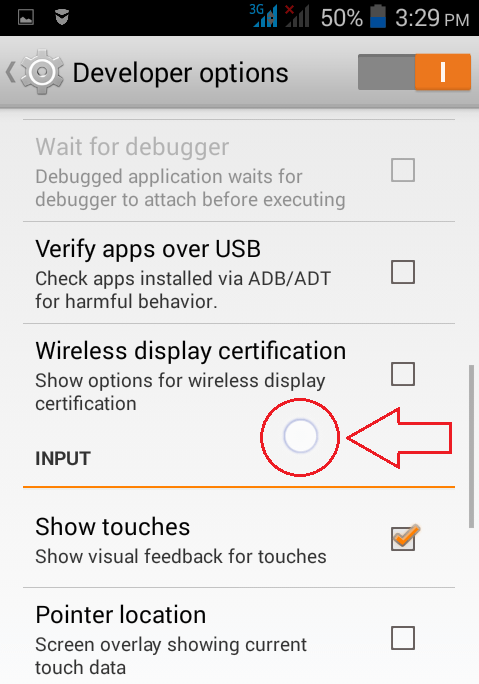 How To Enable Visual Feedback For Touches In Your Android Device:- If you are new to the world of smart phones and touch screens, you might be having a hard time learning where to touch and where not to. Sometimes you might be wondering where exactly you touched as well. There is a quick solution to all of these problems that you experience as a new touch screen user. 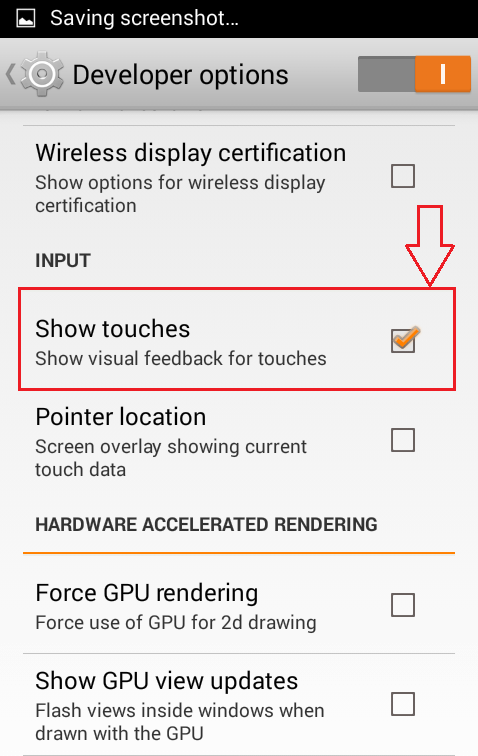 In Android, there is an option that is available to enable the visual feedback for touches. 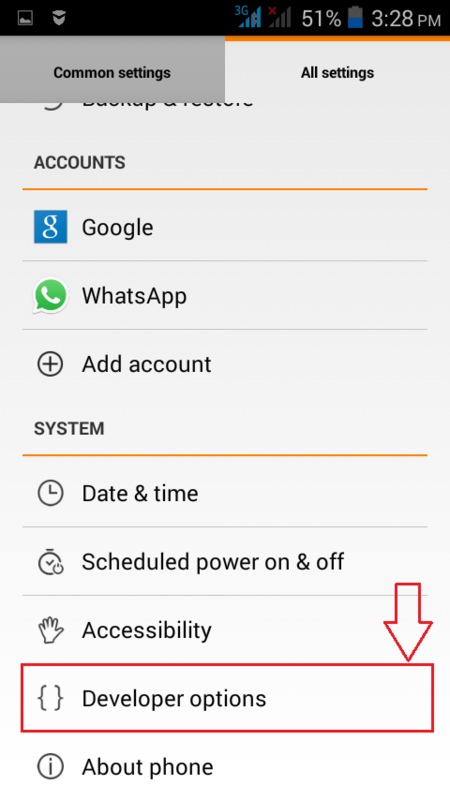 That is, once this feature is enabled, whenever you touch on your Android screen a circle will be shown to you, at the precise location where you touched. The circle fades away in a matter of seconds. This can be quite useful to identify the location that you touched in your Android phone. 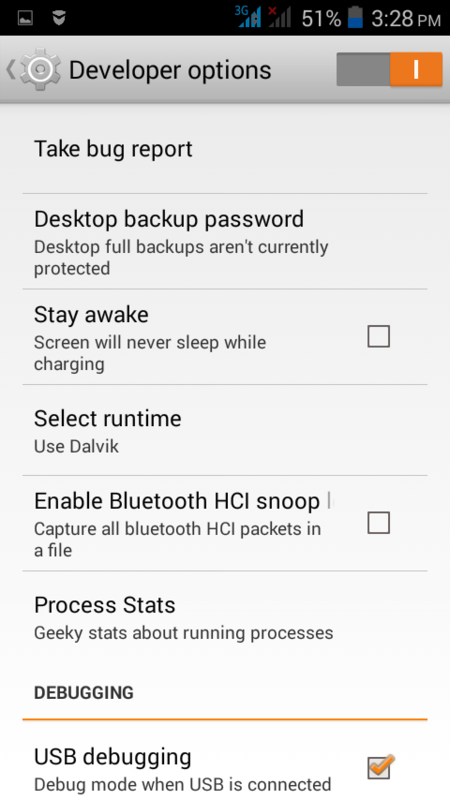 Even though this trick doesn’t need your phone to be rooted, if you want to play with this trick a bit, you need to have your phone’s Developer options enabled. Don’t worry though, that’s quite an easy step. Read on, to learn how to turn on the Developer options in your phone and how to enable the visual feedback for touches option with a very few number of clicks. 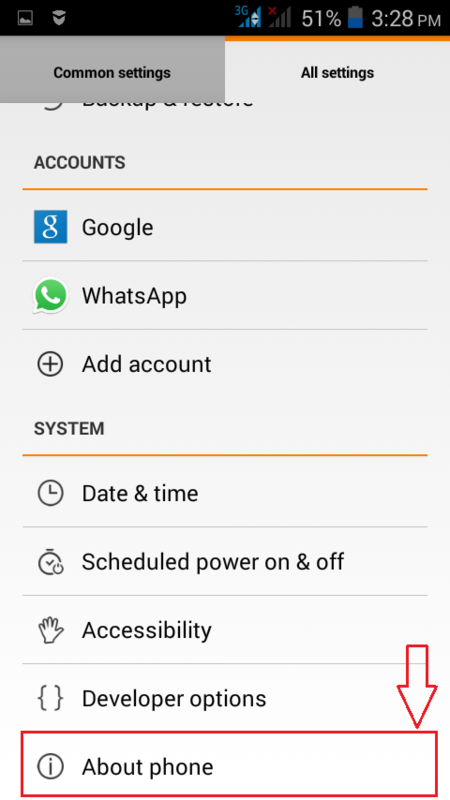 First of all, launch the All settings screen as shown in the following screenshot. 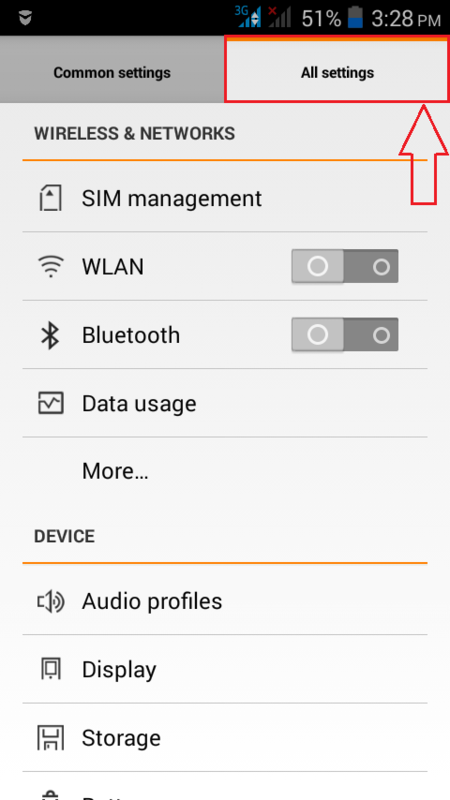 Now scroll down to find an option named About Phone and click on it. If you have already enabled Developer options, then you can this skip. This step is for those of you guys who haven’t got the Developer options enabled. 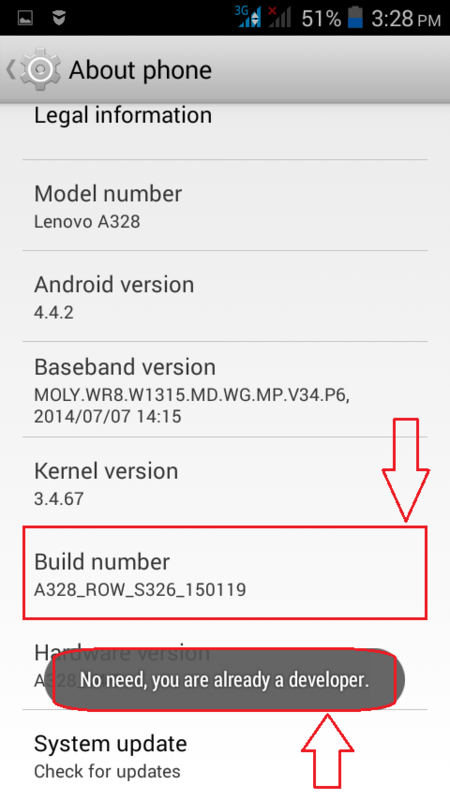 Now under the About phone section, look for an option named Build number. Tap on it 7 times continuosly. If you have already enabled the Developer options, you will be shown a toast that says No need, you are already a developer. Once you have enabled the Developer options, scroll down and find Developer options in your All settings page. This will open up the screen for Developer options right before you. Now under the Developer options, scroll down and look for a section named INPUT. Under INPUT section, check the checkbox corresponding to Show visual feedback for touches. That’s it. Now if you touch anywhere on your phone’s screen, you will be given a visual feedback for your touch. Yea, cool indeed! That’s how simple you can enable visual feedbacks for touches in your Android phone. Try out this trick today itself and don’t forget to challenge your friends whether they can do the same. Stay tuned for more tricks and hacks. Hope you found the article useful.